← For a 40th Anniversary Earth Day Gift, Solar Companies Offer Free Solar Systems to the White House. San Jose CA May 24, 2010 — Free Hot Water, a leading designer, manufacturer and distributor of commercial solar hot water (SHW) systems, announced that it has signed an exclusive U.S. distribution agreement with Baymak, a division of BDR Thermea, a worldwide manufacturer of solar thermal storage tanks. The agreement with Free Hot Water comes at a time when both Baymak and Free Hot Water are increasing their individual product lines. Baymak is expanding its enameled solar hot water tank production line, producing over 175,000 tanks per year. Similarly, Free Hot Water is expanding its line of Solar Rating and Certification Corporation (SRCC) approved OG-100 solar hot water collectors for commercial applications. In addition, Free Hot Water recently expanded its catalog of residential SRCC OG-300 solar hot water kits. Using a water pump and Baymak’s single-coil heat exchanger system, solar thermal energy is transferred to the water inside the storage tank, essentially becoming a type of solar hot water battery. Then at night or on cloudy days, the solar storage tank provides free hot water to the apartment units or other large facilities. Baymak hot water solar storage tanks are compatible with all SRCC OG-100 solar hot water collectors sold in the U.S. Under its arrangement with Baymak, Free Hot Water will distribute 400 liter, 500 liter, and 1000 liter single coil heat-exchange storage tanks throughout the U.S.
Free Hot Water, based in San Jose, California, offers affordable, high quality hot water systems for commercial and residential applications. Our products and systems are clearly distinguished by their integrated design, quality, affordability, and ease of installation. We feature our own SRCC 0G-100 certified collectors and exclusive mounting and racking systems, providing high quality, reasonably priced, solar thermal solutions for your business or home. We’re also a distributor of a wide selection of superior quality SRCC OG-300 systems. Our in-house engineering department specializes in designing solar thermal systems for a variety of large scale commercial applications. We evaluate each project, and design custom systems that are optimized for the unique needs of your business. Free Hot Water’s extra-mile customer service also includes submitting all documents necessary for permits and help to get you all applicable financial solar incentives. Baymak, a division of BDR Therma, continues to increase its product range every year, adding to its 43 year background in heating and water technology systems. Baymak remains a leading manufacturer in the industry, exporting to over 50 countries and employing over 600 workers at its two 30,000 square meter (60,000 square meter total) Istanbul production plants. 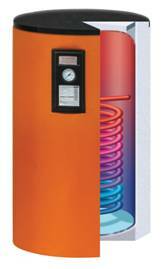 BDR Thermea, is the acknowledged leader in the field of combined heat and power. For over 20 years, we have been delivering mCHP solutions to meet the needs of homes and businesses across Europe. mCHP improves the way we use our limited fuel resources by generating electricity at the point where it is used, thereby reducing energy losses and CO2 emissions. In 2010, the introduction of wall hung mCHP systems for single-family households is expected. With our range of mCHP products, we meet our customer’s needs for today and for tomorrow. BDR Thermea, based in the Netherlands, is a world leading manufacturer and distributor of innovative heating and hot water systems and services, operating in a market worth over €16 billion of annual sales. Our corporation was formed by three world leading heating and cooling companies, namely Baxi Group, De Dietrich and Remeha. BDR Thermea employs more than 6,400 people across Europe with a turnover of USD 3 billion. The company has a market-leader position in six key countries: UK, France, Germany, Spain, the Netherlands and Italy and strong positions in the rapidly growing markets of Eastern Europe, Turkey, Russia, North America and China. In total, BDR Thermea operates in more than 70 countries, worldwide.